Non-photorealistic rendering (NPR) is not new, it has been in practice since the 1990s. A number of famous Hollywood films have seen the application of this new method. Such films are Tarzan (1999), A Scanner Darkly (2006), etc. The animation of A Scanner Darkly (2006) was so close to reality that critics and audiences alike were taken aback; they attributed the stunning quality of the animation to 3D NPR. However, the technology used in the film was simpler than that; it was called Rotoscoping. The whole film was first shot by a digital camera and then transformed into an animated form. Rotoscoping is different from 3D. A major point of difference between the two is 3D is not stuck in the digital art industry, it has plenty other areas of application. Another important difference is while techniques such as rotoscoping consider reality as the standard, 3D NPR does exactly the opposite; it brings close technology and art and produces a non-realistic rendering through their nexus. GSW Animation is a 3D rendering and animation company that provides high quality 3D rendering in San Francisco, California. What is the future of 3D NPR? 3D NPR seems to have a bright future. It might appear contra-intuitive because photorealism is what the industry strives for, and non-photorealism is 180° opposite to that. However, once the benefits of 3D NPR are conceived of, it becomes easy to understand why it is a prodigious child. The biggest benefit of 3D NPR is smooth illustration. The illustrator doesn’t have to pay minute attention to each and every aspect of the illustration such as precision, allegiance and perfection. In other words, the illustrations are not supposed to have a strict coherence with the reality. This particular aspect of NPR could benefit a number of industries such as architecture, real estate, architecture and automobile; the illustration will not mimic every bit and end of the reality, but only convey the idea of an actual object. A realtor might want to see a simplistic representation of a building site. 3D NPR could come in real handy in rendering such a representation. Similarly, an automobile company might want to introduce a new auto model and ask for a schematic representation. The representation could be as simple as a prototype. Since companies know final drafts are rendered after a series of prototypes, they invest less in the rendition of prototypes. Just like the real estate industry, 3D NPR could aid the automobile industry as well by providing cost effective and simplistic representations. The recent trends in the tech industry indicate style is becoming an essential part of it alongside usability. Users these days are not content by simply being able to lay their hands on something useful, they also want it to carry some stylistic appeals. 3D conceptual design is not an exception to this rule. When not used for serious purposes, it could be a style statements. It could be digital art or online comics for kids, a remarkable style statement could be added to it with the help of 3D NPR. 3D NPR could help a new generation of painters to emerge, who would identify their flaws, overcome them and produce remarkable paintings. They’d also think outside the box and work freely without any kind of technical restriction. 3D NPR could help meet some challenges of virtual environments. For example, it can render simple geometric objects in a scene real-time. Such objects could be as simple as a wardrobe or a chair. The same could be done by the photorealism too, but the sense of immersion many not be as enhanced as in non-photorealism. There are psychological factors that play a key role when a 3D virtual environment is observed. One such factor is view-dependent rendering. Certain lighting and geometric effects depend upon the viewer; photorealism has failed to mask them whereas non-photorealism succeeded in doing that. Mobile GIS developers are interested lately in working on 3D maps. 3D maps are more user-friendly than non-3D maps, they are interactive and allow users to harness the benefits of non-photorealistic imagery. Mobile GIS developers have a predilection for non-photorealism because NPR makes silhouette drawing and feature-edge drawing super easy – the two techniques are essential in preserving the important details of a particular environment. There are other advantages of non-photorealism for mobile GIS, one of which is the rendition of a complex 3D GIS model. Rendering such models through photorealistic techniques is difficult. The discussion above forces us to acknowledge the significance of 3D non-photorealism. It also explains why NPR shouldn’t be restricted only to digital art and applied to other niche-specific domains such as interior decoration and Smartphone GIS development. How 3D Annimation can boost your sales? Interior 3D rendering is a relatively new concept and has gained popularity even since it was invented. This impressive and precise method of representing the elements of inner space has become the first thing we have or order. Subsequently, experts in the field begin to feel overwhelmed by the large number of requests they receive from clients and interested companies. But who is this concept for? And who can benefit from modern 3D architecture rendering technology? These questions and many more will be answered in the following article, which seeks to shed light on this voting technique that is becoming increasingly popular today, so read on and understand exactly how it can be used. First of all, 3D rendering may seem like a complicated and expensive technology, but in reality it is a great solution for people or business owners who want to focus on a different point of view about the visual materials they use. With 3D rendering and an experienced graphic artist, anyone can get a scaled version of furniture, objects, decorations and even the entire interior of a house. Think of it as a construction design only in a much more expressive and detailed way. 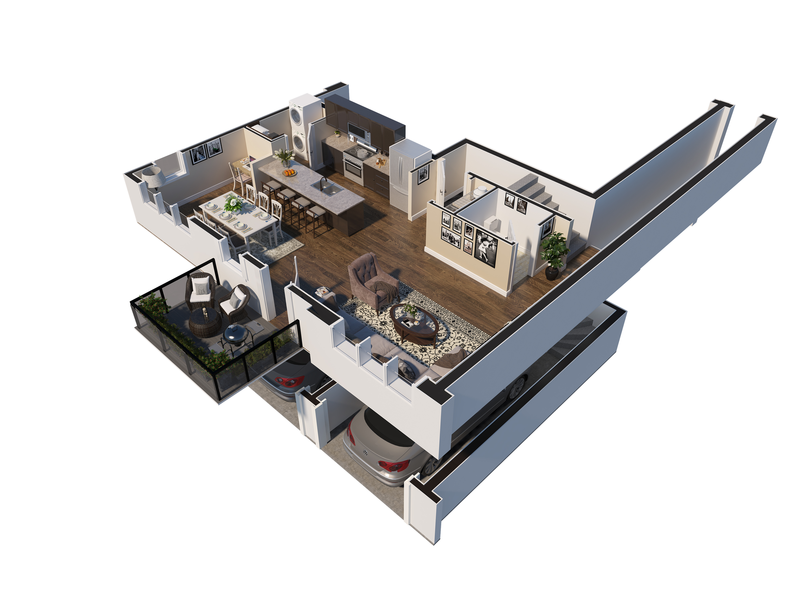 Although the models have existed for many years, there is currently no procedure on the market that can provide a better result than 3D rendering. This can be used on a small scale by people who need to show or show the interiors of a house or office building even in a 3d floor plan. On a larger scale, you can make dozens or hundreds of identical three-dimensional models and send them to a chain of furniture stores or an architectural design company that wants to let customers know what will incorporate the final result. In addition to being used by companies that want to display their decorations or objects for the home, this system is extremely useful for customers because it allows them to see the future aspect of their home in a much more detailed way. Not to mention the fact that the changes are easy to make and, therefore, the number of options increases at a rate never before seen. There is simply no better way to make a choice than to see in advance how the final result will look, especially if this representation is as realistic and close to the final result as a three-dimensional representation can be. In general, the uses of 3D interior visualization are as great as the number of people who request them more and more frequently. People and couples looking for an excellent way to penetrate the mind of their 3D Image Rendering companies and Interior Designs companies that plan to build large-scale architectural plans and real estate companies that depend on this new visual method to help them sell more houses use for this system that can attract absolutely everyone! All you have to do is look for a professional three-dimensional artist who works in the field or an experienced company that makes this type of representation and hire them as soon as possible. Changes to your life or business will certainly be important! Today, the advancement of technology has marked its territory in every sphere of life. Architecture is not exclusive. It is getting a new shape with every passing day. The modern techniques that are changing the course of architecture are innumerable. The recent game changer in this business is 3D architectural rendering. A 3D architectural rendering, also popular as architectural illustration or real-life rendering, is a technique that is vastly used by the architects. It is a format by which the architects and designers can show their potential customers the future of their design. The marketers can market the project and woo the clients depending on the visual effects. It is tremendously helpful to the clients as well, since they get a clear idea of what they are investing their money in. How 3D Rendering Helps the Architects? The architects as well as the construction companies are extremely benefited by 3D rendering. They are fast replacing their 2D counterparts. Three dimensional rendering is making the job easier for the architects as well. It is saving time and increasing productivity. Besides, it is also offering facilities that were never experienced by the architects before. Three dimensional rendering has the advantage of quick adjustment in design. That provides the architects and designers with a flexible environment. It helps them to incorporate any change in the design within a short time. And the biggest advantage of it is that the designer does not need to begin the task from scratch. Various design options can be tested with no effort in it. And the result is much satisfactory than 2D rendering. In the process of designing, the designer as well as the architect can come across some problems that will need serious assessments and modification. A 3D rendering offers that provision of change. Even the designer can make those changes in the original CAD files easily. A 3D rendering is quite popular among architects, as it saves time and increases productivity. When someone is managing a project, it becomes difficult for him to supervise budget, time, and personal as well as commercial relationship. It is also not easy to devise brainstorming ideas and take decisions. A 3D animated design reduces all the hitches from the designing and building process, thus making it easier for the architect to manage it. How it Helps to Market? When it comes to marketing, 2D design in simple sketches does not work anymore. It becomes difficult to convince a potential buyer to purchase a property where the customer needs to take resort to his own imagination to visualize the design. A 3D rendering makes the job of marketing a project easier. The technology helps the designer and the construction companies to express their design beautifully. Even when the project is still in progress, the customer gets a clear idea what he is investing money in. The customer can understand how the dream home they are investing in will be like and, if needed, they request to make necessary changes there. In case of 2D designs, it becomes difficult for the customer to make the designer understand what changes he needs. Three dimensional rendering presents an accurate design and detail of a property, resulting in its better salability. It presents the view from every possible angle and conveys the idea what the project will look like when it is completed. Automatically, we come to the next point, the salability of the project. The rendering convinces not only the buyers, but the stakeholders also, to invest in the property. It can express to them how much potential the project has. It helps to build the brand value of the construction companies and the developers among their prospective customers. The way 3D rendering is changing the course of the business of real estate, it is fast becoming an essential tool of architectural rendering, thus quickly replacing the 2D technology. And when the architects, marketers and buyers are finding it helpful, no wonder, it will become the most useful tool in the business of real estate. Gone are those days when we used to hold the pencil in our hands and spend hours in sketching up the model structure of our designs related to anything architectural. Now, we are a generation where we can see the fusion of technology which helps in 3D Rendering and 3D Modeling of various designs and making them visualize in a more creative way. These 3D models or architectural rendering are used extensively by the construction and fashion world to make people see their creativity with a realistic approach like lighting’s, textures, supplementary effects and colors to your landscape or buildings. Let us know what these two different terms like to tell us about their individual identity. In the golden age, we used to have sculptors who used to build various sculptures. They also would wish to have a tool which could make their work easy and hands to rest. Well, the past has gone and the present techniques used in 3D Modeling are just amazing. Today, software like Maya, Soft-image, 3DS Max and other software in the computer makes your work of modeling a structure easy and with proper textures and effects too. They provide you with a set of tools that help you design the model according to your imaginations but in a computer representative form. It also has various forms like Primitive, Surface, NURBS, Sub-division and Polygonal Modeling which help in designing a model on the basis of the scenarios. Later on these models are created more beautifully by the designer with the required touch ups in a stage called 3D Rendering. 3D Rendering is the most sought technique used by the Engineering field in today’s era because of the esthetic and practical options and effects it gives your models in a 3 dimensional form. It has created a revolution with the different angles it provides to the image along with set-ups, product modeling, animation effects and many more things. It can be seen in various forms like interior and exterior rendering, photo-realistic rendering, material rendering or textured rendering. Each one of them has their own characteristics and they surely give you an excellent visual appeal. Interior & Exterior rendering give a day and night effect in your villa styled model along with floor plans and even water bodies. Photo-realistic rendering is the one we look forward for as it gives our villa, bungalow or company the desired look with lighting, texture and color combinations. So, we can conclude that pragmatic strength of a human and his thoughts lay in the origin. Similarly, 3D Rendering and 3D Modeling are the roots which are responsible for the success of both, the company and the designer. It is artistic way through which he conveys the company’s thoughts to lure the minds of people waiting to see something of their taste. It is kind of a communication method that leads you to win the hearts of people by adding an extra piece of vision into their imaginations. Lastly, these are the best methods as they show the quality and professionalism of the graphics you use to give your company a chance to be noticed amongst that big crowd of people. This article is originally published at Realspace3d.com. Why is Vray so popular among 3D artists and why is it Vray and Architectural Rendering work so well together? The rendering powerhouse is used to create 3D models, special effects, and graphic design. V-Ray has been the most sought-after program on the market. Although the software doesn’t retail for cheap, it has remained a popular choice for designers since its launch in 2007. This begs the question: what makes it so good? Before we get into the skinny of the V-Ray software and its advantages, let’s go through the role of rendering machines. 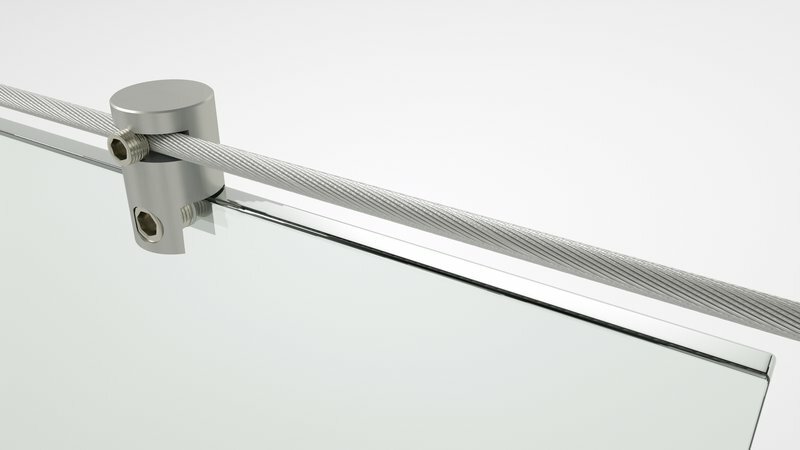 V-Ray rendering generates the image from a 3D model, most commonly 3ds Max. To illustrate, imagine creating a clay sculpture. This clay sculpture acts as your 3D model. Now that you have your 3D model, you may want to share it with your coworkers right now. As you can’t bring your clay sculpture around, you take a picture with your camera. The picture of your clay sculpture is what you send to your boss or friends. The camera acts as your rendering machine. Rendering machines and software essentially translate your model into a flat image. The latter can be printed and/or shared online—allowing you to get your ideas across. For industries that rely heavily on the software, it’s important they provide an accurate translation of their models. This is emphasized in architecture applications and design, where everything is up to scale. 3D rendering software, like V-Ray, were already used in the late 90s and the early 2000s. Their applications are still the same for today: graphic design, architectural modeling, and special effects. Chaos Group, the company behind V-Ray, was a small 3D design and animation studio headquartered in Bulgaria. In 1997, the group had to render atmospheric effects. Unsatisfied with the render plug-ins at the time, the group decided to create their own. Atmos Blender, the company’s in-house rendering engine, was created. Little did they know that would be the backbone for V-Ray, which was released to the public five years later. Artist support was satisfactory in V-Ray’s early years for architectural rendering. However, it wasn’t until 2008 that V-Ray gained attention in artist communities. It became a software to look out for. Without missing a beat, Chaos Group released an interactive version, V-Ray RT, and the much-anticipated V-Ray Maya. The rest, as they say, is history. V-Ray continues to be a preferred choice within professional artist circles. It has been used to create special effects in films, simulate living conditions for architectural settings, and produce hyper-realistic images.